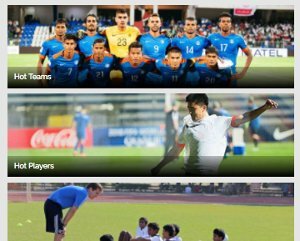 The U-18 Indian football team began their SAFF U-18 journey with a poor defeat against neighbors Bangladesh. 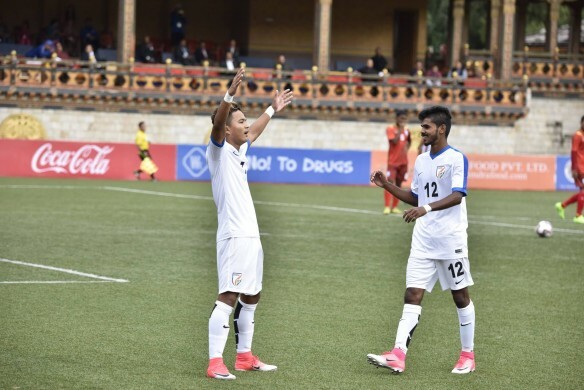 The Blue Tigers conceded four second half goals to lose 4-3 in the opening encounter of the SAFF U-18 Championships. FC Goa lad Princeton Rebello scored a stunning free-kick but unfortunately, Bangladesh had more numbers on the score sheet. The game started on an equal note, with both sides sharing the possession. India, though, were on the front foot as the Blue Colts started with three on the back and Roshan Naorem Singh started the proceedings with a brilliant run into the opposition half. Bangladesh, too, were early starters as they got a corner as early as the 2nd minute. In an attempt to clear a cross from the right, Indian goalkeeper Aditya Parta got an injury, only to shrug it off. Bangladesh got the first shot of the game in the 8th minute, which was against the flow of the game. The Tigers circulated the ball well but missed the incisiveness. India’s first shot on target came in the 11th minute. Roshan looked industrious throughout the game and made another brilliant run into the Bangladeshi box in the 16th minute was brought down, but the referee denied a penalty. Two minutes later, Bangladesh had another attempt, wide off the target. In the ensuing attack, Indian forward Lalawnpuia slipped the ball below the opposition goalkeeper to score the first goal of the game. 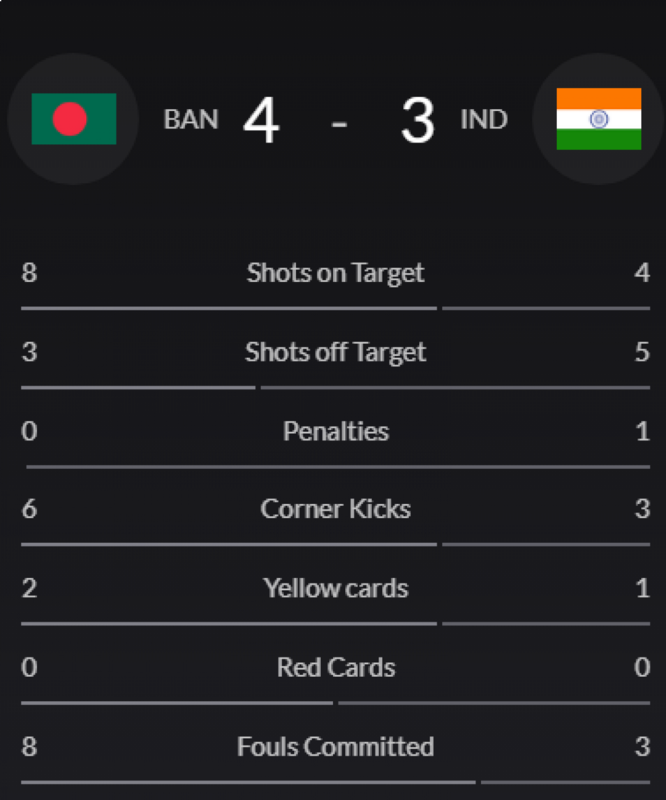 In the 24th minute, Bangladeshi midfielders had a good passing series to build up another move, but the lack of speed cost them dearly as it was easily handled by the Indian backline. Lalrindika had another attempt at the goal in the 25th minute, but the ball curled just wide. Two minutes later, Bangladesh tried to level the scores as a header from a deep free-kick went just wide. In the 31st minute, India got their second of the game as Lalrindika made it two for India from the spot. Four minutes later, Roshan made another telling run and tried to round the ball, only to be blocked out for a corner. Five minutes prior to the whistle, Bangladesh lobbed the ball over Aditya, the attempt hitting the post. The rebound was shot over. That was the closest Bangladesh came in the first half. 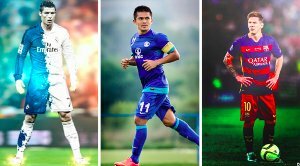 In added time, FC Goa youngster Princeton Rebello scored with a world-class free-kick, easily comparable to the dipping ones of Cristiano Ronaldo. The man wanted by Watford tried to re-do it just after the break, but the attempt sailed over. The teams went into the tunnel 3-0. Princeton had earlier rejected the chance of a Portuguese passport and join Watford to play for India. After the restart, the game started as it had ended, with India gaining the early momentum. After the initial few minutes, it was all Bangladesh as India looked to have lost their concentration. In the 53rd minute, Bangladesh got a chance as Shil misjudged a receive to hand the ball to a winger, who tried a shot but it was over. In the 55th minute, Bangladesh got on the score sheet with a headed goal from a right corner, Zafar Iqbal getting his name on the score-sheet. The Tigers got into the game and grew dramatically strong. India won a corner three minutes later, Rebello heading it wide. At the hour mark, India conceded the second. A backpass was handed by Aditya and the referee blew the whistle for a free kick in the Indian box. A lay-off and shot in to the top from Md. Rahmat Mia netting saw the score turn in to 3-2. India could’ve conceded a third in the 66th minute but the defending from a corner was spot on. Bangladesh kept on building the pressure, as a midfielder tried a long shot from about 45 yards out. The ball was dipping as it went just over Aditya’s top post. India conceded another at the 74th-minute mark with a defensive lapse. A Bangladeshi forward got an easy ball just outside the box, made a sweeping run down the left into the box and crossed for an easy header for Mohd. Sohanur Rahman to be put in. The scores were level. India tried to get back into the game as Zonunmawia found Edmund with a low through ball, but it was a little too heavy in the 79th minute. Five minutes later, the goal-scorer man came close again but shot over from a tight right-angle. In the 86th minute, Zonunmawia decided to take matters in his own hand with a sweet attempt from distance, but the ball went wide. The drama was not over, yet. Bangladesh, who had all the scoring momentum, turned another one in with a headed goal from the left corner, identical to the first one. Zafar Iqbal scored the final goal. 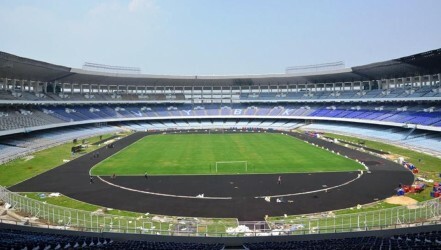 India, after the final whistle, had gone on from a 3-0 lead to a 4-3 defeat. India should’ve done better with the lead, and must work on their defending at set-pieces.